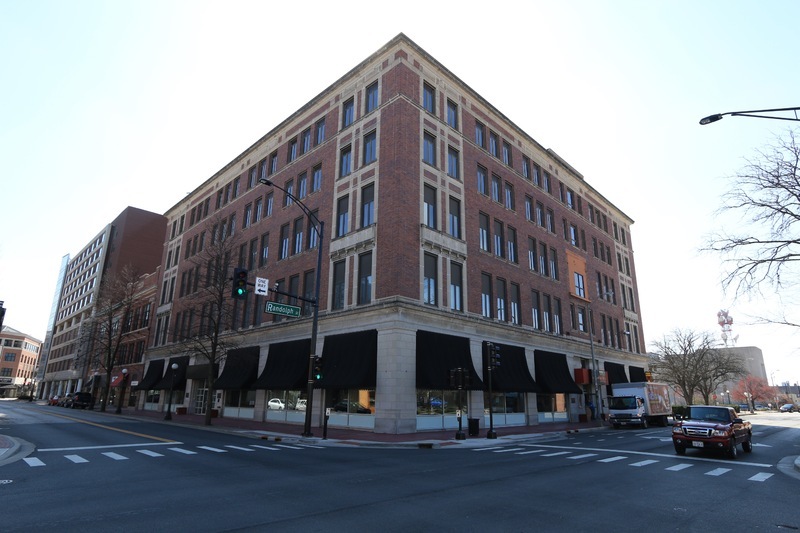 Built in the Classical Revival style, the Robeson building was constructed in 1915. 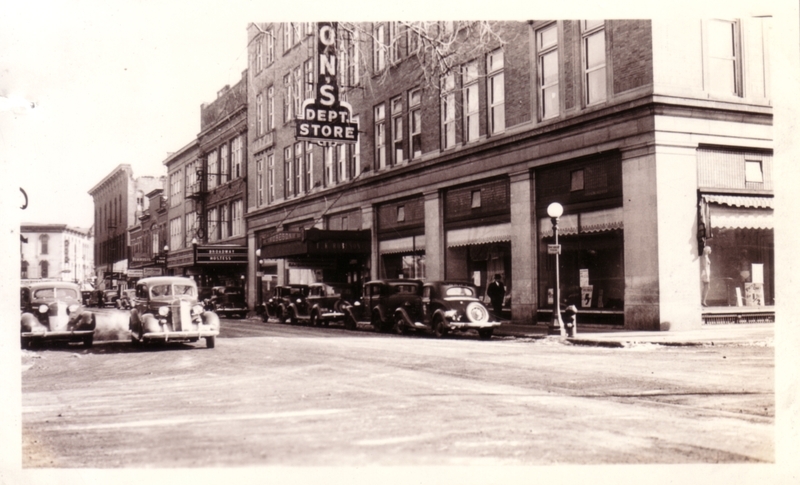 There is perhaps no one department store more synonymous with Downtown Champaign than F.K. Robeson’s. Frank Kurn Robeson started his department store business in 1874 in the building currently known as the Metropolitan Building at 223 North Neil Street. 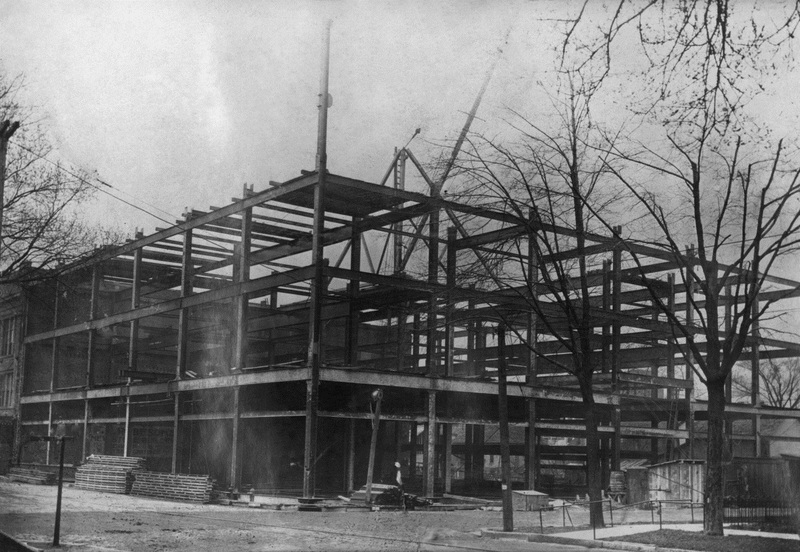 However, that building quickly grew inadequate for the department store and this new structure was built. 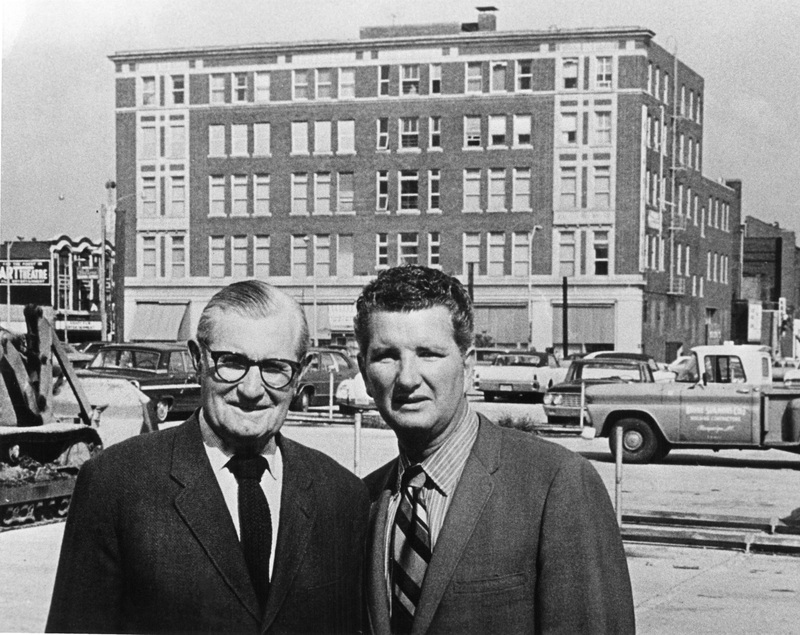 The building was designed by George Ramey who also designed the current City Building. English Brothers of Champaign completed the building in 1915. 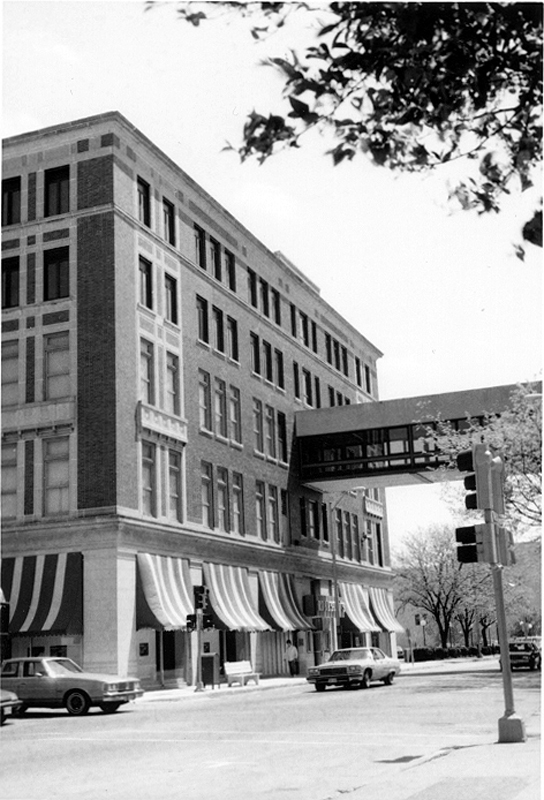 The new department store was touted when complete as the largest mercantile building in this part of the state. Its five floors housed men’s and women’s clothing, home furnishings, jewelry and perfumes. The store would remain a fixture in Downtown until 1990 when it finally closed its doors. 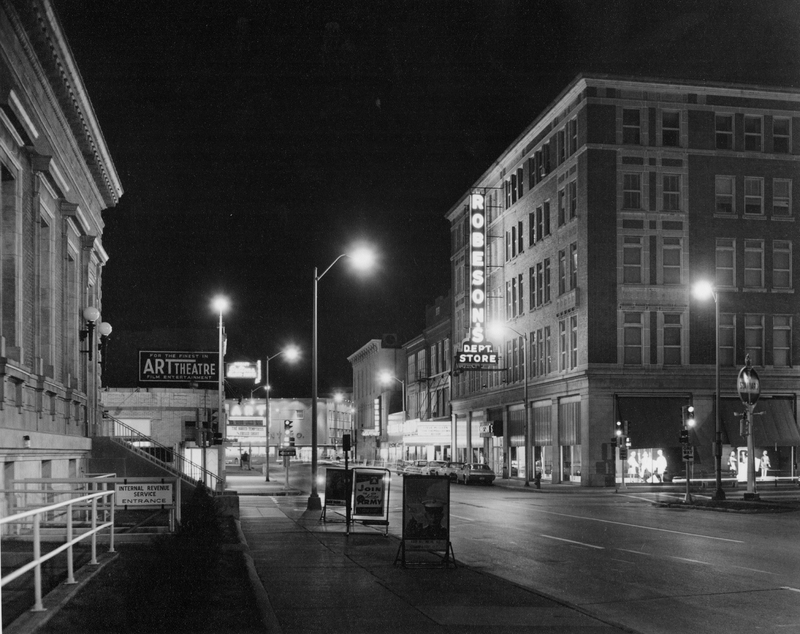 Other highlights of this building included is four story lighted marquee that adorned church street for over 40 years. Also a roof top garden was the social place to be throughout the 1940’s. Today the building has been divided into office space for some of Champaign’s largest companies, including the national headquarters for Pavlov Media. 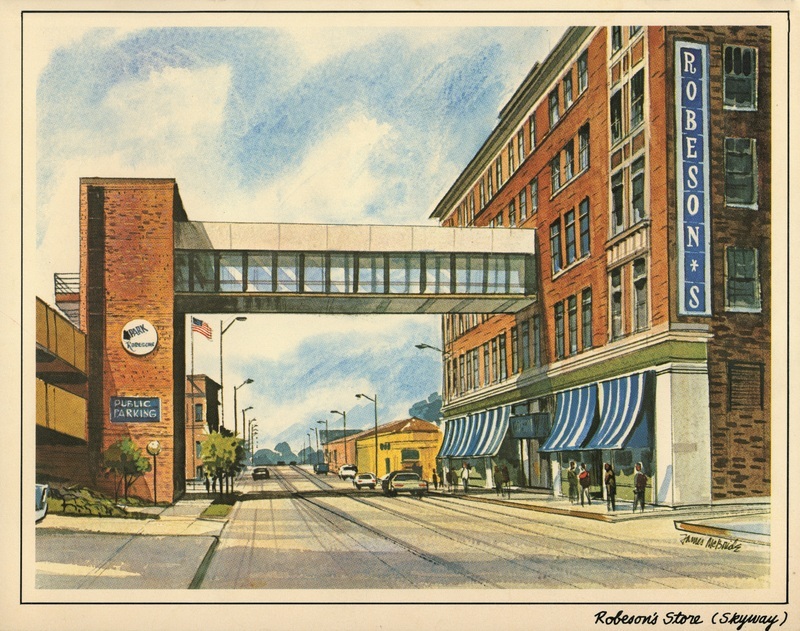 Robeson's Department Store Building, Champaign : View: Facing southeast at the intersection of Church St. and Randolph St. ~ Source: Champaign County Historical Archives at The Urbana Free Library, Urbana, Illinois ~ Creator: Michael Chobanian ~ Date: Undated (Possibly April 1990). T.J. Blakeman, “Robeson Building,” ExploreCU, accessed April 22, 2019, https://explorecu.org/items/show/370.